You may wonder “Do I Need a Separate Eye Cream?” This article tries to answer that question. Having dark circles under the eye make people look tired. While dark circles are often the result of a lack of sleep, people can develop permanent dark circles under the eye as the skin ages. This is because the skin around the eyes is the thinnest compared to the skin of the rest of the face. The skin around the eyes is most likely to develop dark circles as we age. The level of two skin proteins that give the skin its elasticity, elastin and collagen, decreases as we age. This results in sagging skin and the appearance of lines and wrinkles. The actual dark circles are caused by thinning and sagging skin around the eyes. Breakdown products of hemoglobin (the blood protein that carries oxygen to our cells and tissues) start to build up underneath the skin around the eyes. 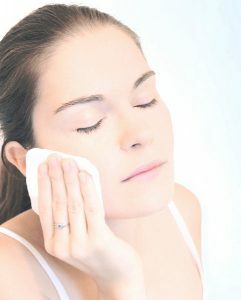 Since the skin around our eyes is much thinner, this build-up of hemoglobin breakdown products results in dark circles. One high quality eye cream ingredient that can prevent these dark circles under the eye, is HaloxylTM. HaloxylTM works by reducing the formation of these pigmented by-products. It also makes the skin thicker and reduces swelling and puffiness. Several studies suggest that frequent use of HaloxylTM result in more than a 60% reduction of dark circles and wrinkles. In addition to HaloxylTM, look for eye cream ingredients that improve collagen levels and increase skin moisture levels. Another ingredient to look for in an eye cream is hyaluronic acid, which is one of nature’s most powerful skin hydrators. Hyaluronic acid will add volume and gets rid of sagging skin in addition to smoothing out lines and wrinkles. The thin skin around the eyes is also susceptible to fluid build-up, causing puffiness. Lack of sleep will make the puffiness even worse. If you’re trying to get rid of puffiness under the eyes, here are a few ingredients to look for: grape seed oil is perfect for reducing swelling and puffiness around the eyes. Peptides such as Haloxyl (see above) and Argireline can also help to reduce puffiness around the eyes. Some people prefer to use a separate eye cream to treat dark circles under the eye. However, if you are planning to use an anti wrinkle cream, why not just use an anti aging cream that also targets the areas around the eyes? 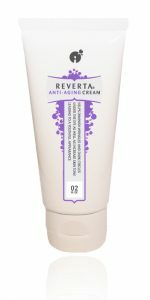 Reverta’s anti wrinkle cream is a face cream and eye cream in one. It combines wrinkle fighting ingredients with the dark circle eliminating power of HaloxylTM. Face Wrinkle Cream: How to Choose One For Your Skin?